The one where I’m a working mom. The one where a blogger gets stage fright. Today is about being a homesick South African. I’m raising two boys and a daughter long years and nearly 8,000 miles away from the country that runs in their veins and the adopted brothers and sisters that run wild in their imagination. My dad is sixty four and he’s raising kids the exact same ages as my own. I miss watching him in action. I miss swapping parenting advice for strong willed five-year-olds. I miss the blood red dust of the Karoo, the ostrich, the meerkat, the hadida. Thick accents and thicker maize meal cooked in three legged black pots over open fires. And the smell of it all. The smells linger in my memory the longest. Late winter veld fires burning up the horizon. Smoke and traffic and dust. They grit up the nostrils. But then there’s the jasmine. Sweet promise of spring. When I catch it on the breeze here in the States, miles from home, it buckles the knees and takes me back to my mother’s garden, to my childhood. And I watch my kids growing up without these sights and sounds and smells and I ache for what they don’t know they’re missing. So we recreate. We build up a library of music and food and photographs. And we dance. We gumboot dance and stomp and ululate wild to these Northern skies. And we hear a distant echo rise from below the equator bringing greetings from the Southern Cross. We dance and clap wild, lost souls singing their way home across the night sky, feeling our way back into a place that Skype can’t properly capture and that email can’t possibly contain. Talking about diamond dust on the soles of tired shoes. Talking about Ladysmith Black Mambazo and how we are all homeless, moonlight sleeping on the midnight lake. 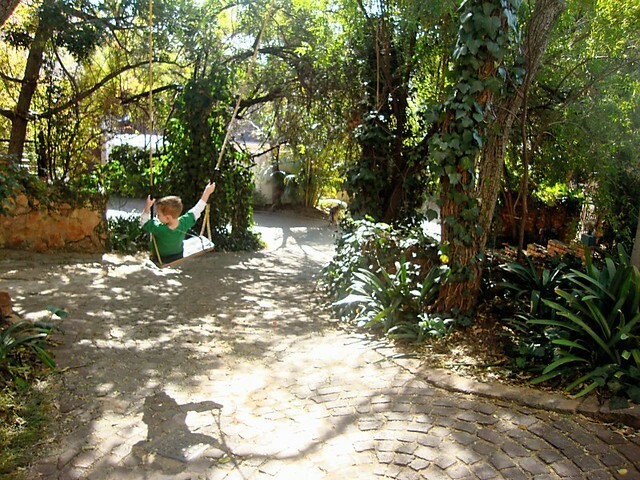 Homeless and dreaming of jacaranda trees, a steep driveway and the honey rock house. Talking about three blond babes and their mama keeping time to the heartbeat of home that’s just a sunrise away. So we chase it. We run and dance and dream ourselves there. Because one day we will walk that steep, steep South African drive again. And I’m determined it will feel familiar under their feet. Because you can live nearly half your life in America and still feel South African dirt under your fingernails. And yes this year I finally became an American citizen, but my love song will always be for Africa. This complicated, crazy beautiful land with its broken bits and pieces and orphans and AIDS and bloody history and desperate hope for new beginnings. I will outlove this place when it has long outlived me. It’s my true North this Southern Hemisphere and I am a daughter of Africa and a mother of three stories that were transplanted into that blood red soil, my adopted brothers and sisters their family. My parents’ house is like a train station of kids and accents and languages and my sons are never more at home than in this place so far removed from their Northern Virgina comfort zone. Zoe was only four months old the last time we were home. We’ll be back this Christmas. She’ll be two and a half. But in the meantime she lisps her fervent, inherited love for “Afika” and describes how we will fly home. I will eat more Cadbury’s chocolate than is good for me and I will invite any South Africans who read this blog to come over for tea. My favorite tradition – a time out of time to sip hot, sweet tea with milk and a side of rusks and simply “kuier” – visit without agenda or need to keep an eye on the clock. It will be hot. Summer is the season for Christmas in South Africa. Peter will miss the snow. But he’ll love the chance to go swimming in mid-December. And we’ll remind each other that the only thing holding us back from making a difference in this country is ourselves. And that we’re getting over that. And speaking of which, boy do I ever have a surprise to let you all in on. Soon and very soon. secrets?!?!? CANT WAIT!!! 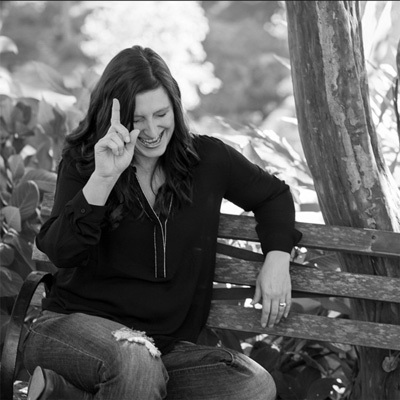 Loving your stories, today and everyday….so much love just pouring through your words! Thank you a million times over!!! We’ll be in Pretoria and planning a meetup for bloggers in the area. More details to come! It would be so wonderful to meet you – although I know how absolutely precious family time is on these visits from far away to home! You brought tears to my eyes. I am so homesick, haven’t been back home since 2003!! I miss my homeland so much! Thanks for the reminder! I’m an American too now but I have Africa running thru my veins! You made my heart ache for Joberg…. And rusks and tea… And red sand and hadidas. It’s “girl-with-heart-buried-under-the-banana-tree-in-Natal” here. You must know that you have every expatriated South African reading this post sniffling into her tea. My chin wobbled and the tears started to flow as I ached for the tastes and smells of our homeland so beautifully brought to life with your words. Thank you sweet sister for such a heartfelt and transparent post. “And I watch my kids growing up without these sights and sounds and smells and I ache for what they don’t know they’re missing .” …. I came undone at this line. But I too vow that my boys will know the familiarity of African dust on their feet and that their mama is a daughter of Africa. 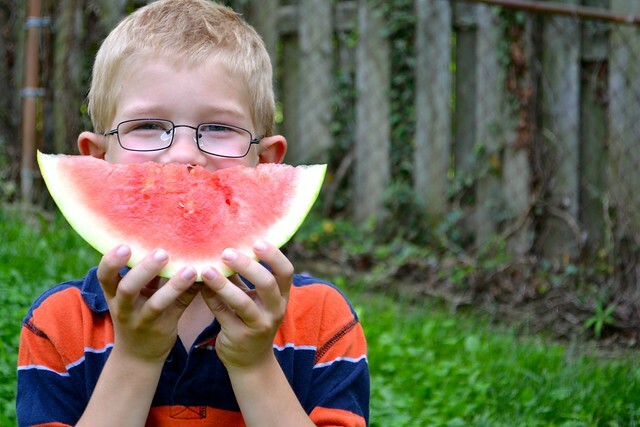 Lisa-Jo, I think what was the most beautiful (and heart-wrenching, really) part of this post for me was knowing how much rich tradition my own kidlets will miss out on growing up in New England instead of South Florida. It’s a whole other ball of yarn up here. And while it spins a beautiful new future for them, I still long for the beautiful past that I can see in my mind, you know? You captured that homesickness so perfectly! And you have me in tears. We’re living in Wisconsin. My family is in California. I miss them and all that’s familiar there. Thank you for this. I’m homesick for Australia. 17 years in Canada and I still call Australia home. Oh sweet friend… reading this so reminded me of the chills and pull of heart and spirit that I feel when watching “Australia” – when Mrs. Boss promises to find Nullah… and Nullah whispers, “I sing you to me!” and she answers, “and I will hear you, my darling!” Chills! For I know you sing… and you hear… and you are heard! Praying for you… loving that you share your heart… your Africa… your red soil foundation with us here! Sipping our after dinner “rooibos tee” , I read your blog out loud to my husband. Trying hard to keep it together. I love how you say: “The only thing holding us back from making a difference in this country is ourselves”. We’ll be visiting SA this December too. But this time to visit schools and look for a house….because we felt that perhaps our time has come to go and make the difference. After 10 years, 2 countries, 2 girls and lots of stories…feeling scared, excited, optimistic, worried…all at the same time. Would love to take you up on your invite to “kuier” – so let us have the details please. You are such an inspiration – thank you for sharing your heartfelt stories. 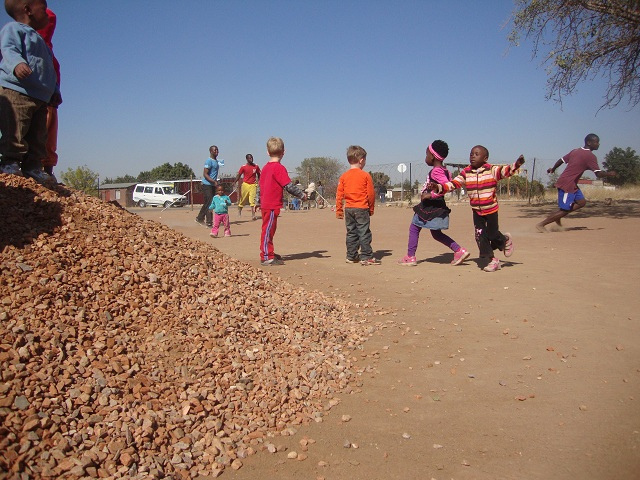 Lizanne – so excited to hear of people coming back to South Africa! Lisa-Jo is so right – it’s all up to us. Living in the UK for the past 12 years, and not a single day goes by that I don’t miss Joeys ! We have returned from an amazing 4 week holiday wit our kids …staying in Umhlanga, Hoedspruit, Boksburg, Rustenburg, Springbok, Upington and Kuruman! Boy, does the red dust get get under your nails when you are travelling !!! No matter where in the world I live, whichever citizenship I hold (UK), my soul, my spirit and my very essence will always be South African. Love it when you write about home. Oh! How thrilled I am for you to be able to go home for Christmas!!!! My shoulders relax a little and my eyes leak a tiny bit knowing a bit of what this means. Africa for Christmas! Africa for anything really, but Africahome for Christmas?! It sounds like a lice of heaven! Ooh.. holding out on us! I’m so happy that you all are getting up ho home for Christmas. If you find you bring back more Cadbury’s than you can eat, I’ll be glad to help you out with that. I love this series! So beautifully written! This is how I feel about Northern Virginia — Arlington actually. Oh the familiar smell of my grandparents house where my aunt and uncle now live. So healing to visit – we are currently in Minneapolis. Enjoy your trip this December! Straight out of college I served as a missionary in the Joburg area, primarily in Soweto, from 92-94. I love your descriptions—could smell & taste & hear & feel those distinctly South African items of your mention. I too miss the place that so far & so long away is still so rich in my memory. I pray someday to return & take my family with me. Ah, but the land is beautiful. This is beautiful, Lisa-Jo. I know just how your daughter will feel, yearning for a country she wasn’t raised it but still claims. It’s her mother’s homeland but her own heartland. 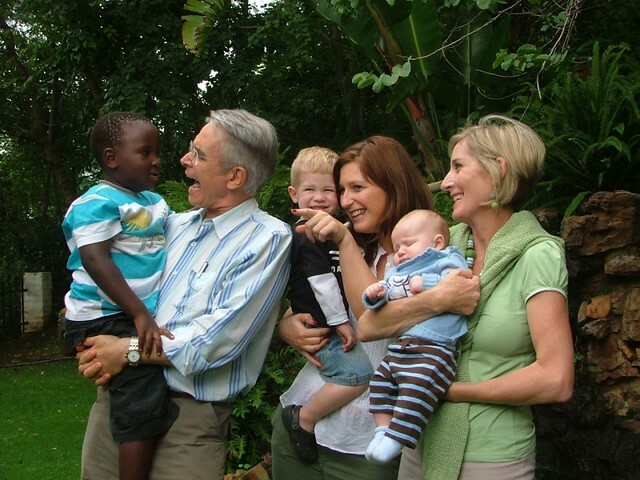 I am sure your children will know well their South African story, and I’ve loved the glimpse you’ve given us here. I’m homesick for ‘Afika’ and I’ve never been. You write from your soul. Amazing author!! I am a young mom living far from family. Not quite as far as Africa, but far enough that I only see them once a year. This spoke to me so much. I appreciate what you said about making sure your home is familiar to your children when they visit. That really encourages me to raise my son in a way that he becomes familiar with what “home” is to me. Thank you. Oh and that surprise. I’m sure it’s that you are going to take one of us with you back to visit. And yes, I will happily accept that prize. I’ll just have to figure out how to get my other 5 there with me too. Ready to dance of course. I love reading about your South African memories. 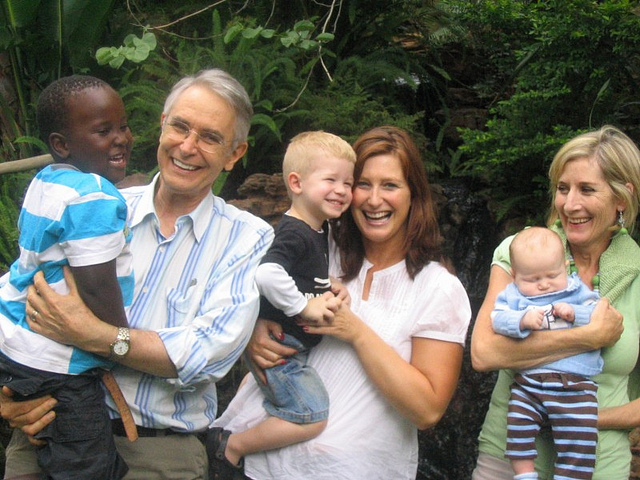 I lived in SA for 12 years (during which time I married my South African husband and birthed 2 of my 3 kids in Durban). We are now in Madagascar working for our SA NGO and church. Everything you mention are things we ask our South African visitors to bring to us. Sometimes our shops have pap, but not always. Our kids long for Weet Bix and the morning pap my husband makes, but we can’t always get. Rusks, tea, CADBURRY (you must try the cashew and coconut if you have not), biltong, Robertson’s spices and a “good” steak at Spur (our meat here is so tough and chewy that I think our standards have lowered ;)). South Africa has become my home, too, but in a different way from you, I suppose. I’m an expat in Italy, with an Italian husband and 3 children who are also so very proud of their African heritage! I know what you’re talking about! Enjoy your visit in December – I haven’t been back for 2 and a half years… really miss home. I lost it by the time I read about the koeksesters…I hardly ever cry. I found some cosmos seeds in Home Depot. When they bloomed here in Texas I was beside myself, and nobody knew why. I also miss the smell of rain just before it hits the red soil, and after, when the old gum trees give off their aroma. Thank you for the ‘trip’ it’s been 11 long years for me. If you’re inviting us all, I think you’ll have to rent a hall for the tea party you’ll have once you get back home! Love the line, “..the only thing holding us back from making a difference in this country is ourselves.” No matter where your back home is, even if it’s just in your heart, this still applies, doesn’t it? Been feeling overwhelmed by the tasks of ‘change’ lately. This sentence is a wonderful reminder that we are all in this together and together we can effect change for the better. We must simply continue and not give up. You transported me there! I want to go! I left SA once for a year and never again. 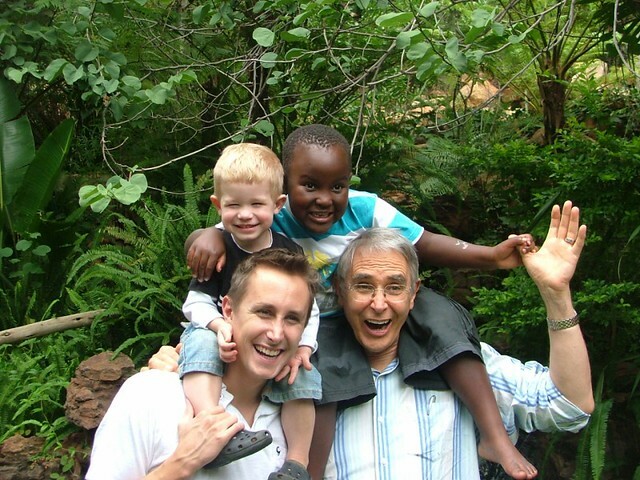 I longed for everything that was South African and familiar. I feel for ex-pts when they too have this longing. But my response is “come home”. Come home to where you are loved, where you feel you belong, where you don’t have to fit in. Come home to the place you long for your children to know, where you are a part of your loved ones lives everyday. Yes we have crime, we have problems. But to live everyday apart from your loved ones and where you belong is torture. Well, it was for me. Beautifully written and loved reading it. Enjoy your Christmas back home! My heart aches. Not because I miss “home” in the US, “home” in California… my husband and I are true transplants. THIS is home now. Our little slice of Jozi on the West Rand is home. My heart aches because I worrying and loose sleep at night wondering anxiously if I’m South African enough for my kids. This is their home. This is what they know. This is where they learned to walk, to talk, to run, to sing and best of all, to dance. Do I do enough to teach them the subtleties of the culture? Have I embraced the flavors, the smells, the textures that make up this fabulous tapestry? When they are grown, and look back on their childhood, will they miss the jacarandas blooming as much as mom’s chocolate chip cookies? Will they yearn for our Christmas braai as much as their woolen, hand-knit stockings? Will they hold tightly and lay claim to what is theirs by birth, by accent, by sheer volume of life? Or, will they always feel somewhat left out because mom didn’t know that gumboots are called gumboots because of the dance done in said rubber rain boots by that tribe? Will they always slightly miss the joke because they weren’t taught from birth Afrikaans… or Zulu… or Xhosa… Will they feel like they’ve been left behind because mom never could make a proper pot of pap or a decent koeksister or an edible melktert. Will they forever feel like it was forced, this culture they live in, because I can’t say (or spell), “diere makar” but I use it anyways because how else do you describe a house with four kids less than 5 years apart? I want them to have those deep-in-my-marrow moments that they can look back on and, no matter what is going on, no matter where they are in the world, they can say, “THAT. THAT right THERE is MY South Africa. I know who I am because of THAT.” I don’t care if it’s the Rooibos, the potjiekos, the vors with chutney, the dry winters or the cooling summer rains. I don’t care if it’s the smell of the veld fires or the fact that they only know how to drive on the left side of the road. I don’t care what that final thing is that makes them realize no matter what the emblem on their passport or the ‘permanent address’ they put on a visa application, that South Africa is “home,” I just want them to know, simply and unapologetically, that they are a part of this stunningly beautiful and gloriously diverse Rainbow Nation. Would be lovely to meet you when you come out. Will you be in the Cape or in Jozi? I am South African. Living in South Africa. And your words brought tears to my eyes and homesickness to my heart. Because, sometimes even when we in it, we’re so far removed from it. We take all that is our home for granted. We complain about it. We compare it. We abuse it. And then we are reminded that it is so beautiful and so worth loving. And we couldn’t be luckier to be right where we are. Thanks for that! Oh Lisa-Jo, you speak to the depths of my heart. I try so hard to bury the memories of the sights and smells of Africa or at the least to push them aside. For just a moment today you took me there. My hart verlang!! Thank you for the sweet reminder! As an American, having a moment of homesickness in South Africa for drive-in movies, playing kick-the-can in the cul-de-sac long after the sun’s gone down, book stores inviting patrons to set and drink coffee and spend the day without buying a thing, cheap petrol and long drives just for the fun of it, apple cider and hillsides ablaze with color in the Fall and the joy of unpredicted snow-days in the winter – I found your blog and fell in love with my new home all over again. Beautiful writing – beautiful land.